As I said, it has gotten worse over the years but I never bothered to blab about it because I feel like only echoing the sentiments of the riding public. Often times, I tweet the LRTA Official account and its spokesperson, Atty. Cabrera, telling him how the ques are, how come a certain station did not announce that the incoming train is two-cart only or that the back cart is still spacious and so on and so forth. Sometimes he replies, most of the times he does not. Still, I hope that the information or complains I share from time to time would help them better manage the train system. 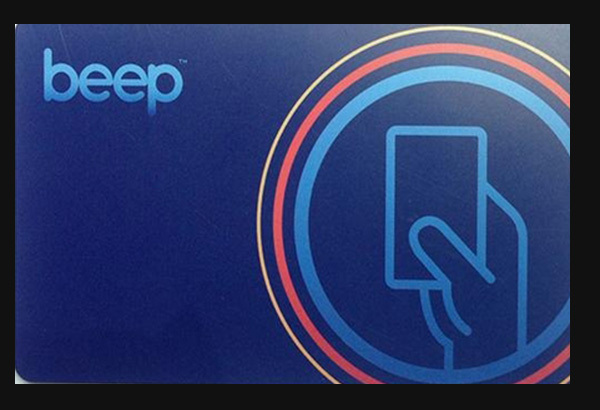 Now, a month ago, they introduced a new ticketing system the BEEP CARD which can be used in all three train lines. (Line 1, Line 2 and MRT). The BEEP CARD replaces the old magnetic cards. My verdict is: IT IS SLOWER THAN THE MAGNETIC CARDS. There is this irritating split-second delay with the reading of BEEP CARDS. The mister and I already told about this to one of BEEP CARDS’ ground personnel. We hope they elevate our concern to the higher and proper authorities since that is basically the essence of their on-going public trial — to get feedback, to pinpoint problems and to improve on whatever aspect. I’m sure they could modify or enhance the system. It’s still a wonder though, why they prioritized the ticketing system instead of facilities, maintenance and train acquisition which could have been more beneficial to commuters. And since I’m writing about my LRT ordeal, might as well make this post worth your while by enumerating my issues with LRT, based on my observation and personal close to ten years experience. 1. Purchasing new trains would solve half the problem. No matter how many commuters are there, as long there is a quick turn-over of trains, I see no problem. 2. Get a better radio system. How many times have they asked people from the line due to crowd control to suddenly hurry up because the incoming train is too spacious pa!? With the split-second delay of the new BEEP CARDS, this is disaster because the machine reading would just be error after error. How many times have they asked people at the front to run at the back and vice versa? They should consider the seniors, pregnant women, those with babies and physical limitation. 3. Get a better P.A. system. A simple announcement of what’s the cause of delay and of what’s the incoming train (3-cart, 4-cart, skip) could level the heads and emotions of the people. 4. Manage the crowd control. I don’t know about this but it seems some crowd controls are too strict that it already defeats the purpose. I’ve already rode a very maluwag train from the north station to the south, which could have been filled by those people in the line cut by the crowd control. Sometimes they do not announce or inform people in the stairs that those who have stored-value BEEP CARDS can already go straight to the platforms since the long lines are for those buying tickets or loading cards only. Sigh. I hope our train system gets better with the new administration next year. That is assuming, the new president will appoint a more competent DOTC Secretary. Talk about hope, my ultimate wish is for our trains to be controlled by a computer system. So much of hopes, I know, but I guess that’s me, I have high hopes for this country even though at too many times, it’s very tempting already to give up. How about you? Do you use your car everyday or do you ride a train as well? Any experience/issue with the BEEP CARD System?